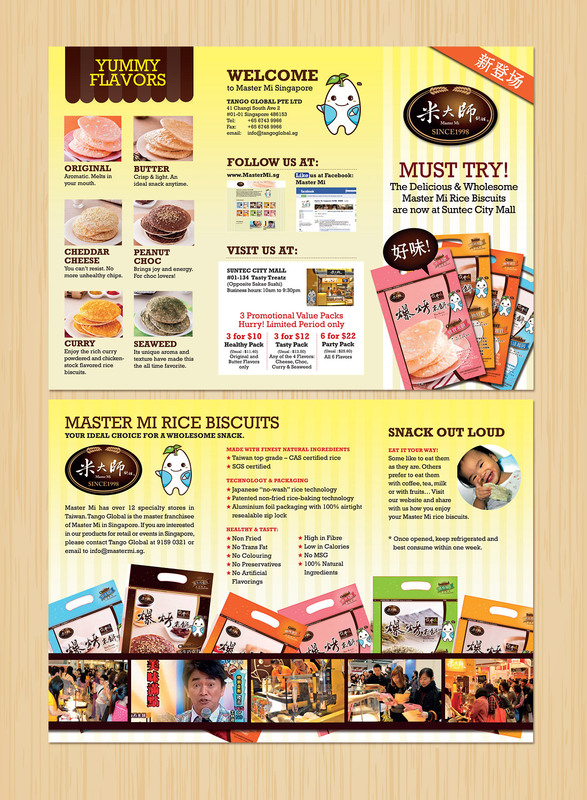 Master Mi Singapore is the regional franchisee of one of Taiwan's popular food product brands. Their tasty, healthy and flavorful rice biscuits are enjoying fast growing popularity. We were entrusted to come up with all the necessary promotional materials both on the web and in print for their store opening in Singapore. It was a challenge we took on squarely and the outcome is definitely more than just a satisfied client, but a growing partnership with unlimited possibilities.